Open to any female over 25 years of age who plans to pursue an eligible Vocational/Technical course in the state of Washington , above and supplemental to high school or preparatory school level. All applicants must be citizens of the United States of America on the date the application is filed. 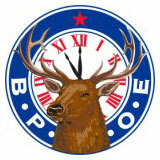 This application must be filed with The Washington State Elks Association. This scholarship is not intended for women seeking Bachelors Degrees or post graduate degrees. Contact your local Lode for further information.